Proudly serving Louisville, Kentucky, Oxmoor Toyota has the perfect Toyota Tundra you’ve been searching for. And whether you’re planning your next camping trip or hauling a heavy load from the job site, you can count on the rugged Toyota Tundra to get the job done. Feel free to explore our full Toyota Tundra inventory below where you can search by color, options, features, and more. If you’d like more information about the new Toyota truck inventory you see below, call now or come visit our Louisville, KY Toyota dealership for an exciting test drive today! At Oxmoor Toyota in Louisville, KY, we make it easy to find the perfect Toyota truck. You can check out our new Toyota vehicle inventory and used car inventory to find the perfect truck for your needs. Be sure to check out our exclusive comparison research at our Toyota Tacoma vs Toyota Tundra page. Finally, you can view all our most popular new Toyota models side-by-side at our model lineup page now. Whether you’re traveling from Elizabethtown, KY or Jeffersonville, IN, we have the Toyota Tundra truck you’ve been looking for. 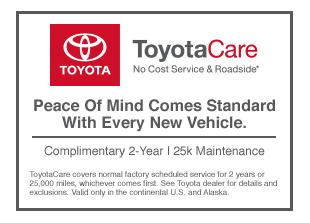 Stop by our Toyota dealership today to learn more about how you can get behind the wheel! When you buy a new Toyota truck through our auto finance center at Oxmoor Toyota, we understand that the buying vs. leasing decision can seem like a complicated one. The truth is, there are only a few points to consider, and the friendly finance professionals on our finance team can help you make the best choice for you and your budget. Call our Louisville, KY finance center now for more information, or complete our secure online auto finance application to get pre-approved right away!